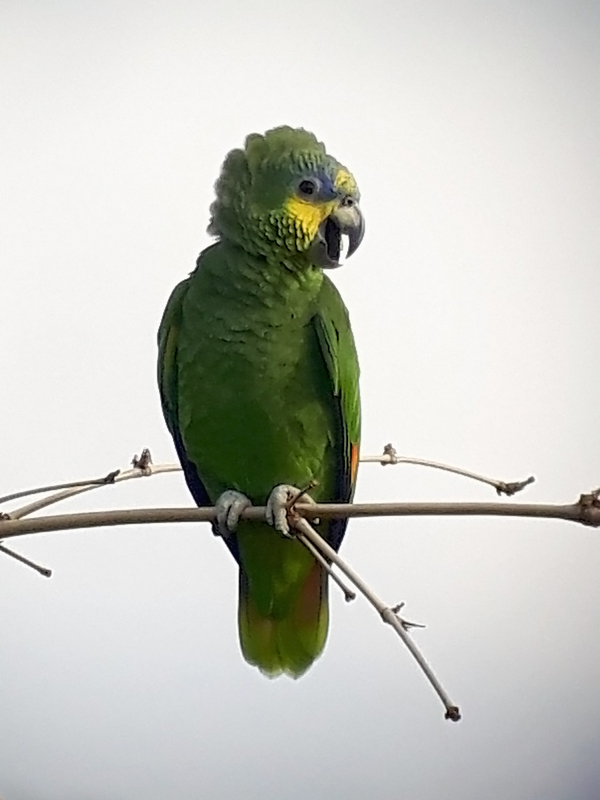 For most people, parrots are an iconic image of the tropics … and we encountered several species during the tour. Orange-winged Parrots were both the most common and the most noisy. This was a part of a small group that seemed to hang out around Asa Wright Nature Centre, sometimes giving great views off the verandah (This photo was taken using my phone and Kowa scope).